With Back to School just a round the corner, it's important to get your skincare routine in order. 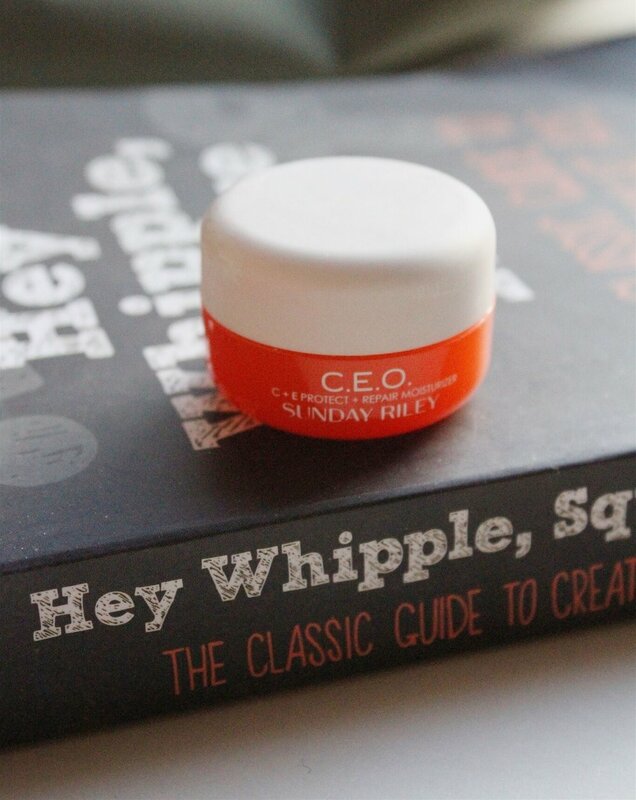 I know you've probably heard a lot of hype about Sunday Riley and if you haven't, their Sunday School Skincare Set is the perfect introduction to brand. The brainchild of a Houston-born chemist and the product formulator, Sunday Riley uses some of the highest quality actives in order to ensure that you get the results you are looking. What I LOVE about this skincare set is the ability to try four different products in Sunday Riley's collection for only $60.00! I'm a big fan of buying mini kits like this, so I can test out products that peak my interest and determine if it's worth buying the full-sized version. Get your skin looking flawless and ready to take on the new school year! Sunday Riley // CEO C+E Micro Dissolving Cleansing Oil: Seriously, I can't rave enough about how much I'm obsessing over this product. I usually go for a normal cleanser, but this oil really changed my "cleanser" game. When you first put it on, it's seems intense for your skin due to the texture. But the smell, smooth finish and hydration you feel after totally makes up for it. Plus it removes makeup with a gentle ease, which has always been a trouble area for me when it comes to washing my face. Sunday Riley // CEO Protect + Repair Mositurizer: Whenever my face fills like it needs a pick me up, this has been my go to the last few months. I love that it deeply hydrates and helps reduce aging signs and sun damage. The pasty texture easily blends into your skin, giving you a dewy look. It leaves your face looking brighter and smooth. I've even noticed how applying this moisturizer prior to my makeup helps my makeup application (from makeup setting properly in my face to overall finish). Since it has a thicker pasty texture on application, I recommend to wait a minute or two before putting on makeup or other facial products to ensure your skin soaks in all the Vitiam C and THD. Sunday Riley// Luna Sleeping Night Oil: The priciest product in the entire set, but my absolute favorite! I originally wanted to try this while I was pregnant and had to wait due to the oil containing Retinol. Yes, it does leave a little blue tint to your skin BUT a few drops every night will seriously transform your face. As I approach the big 3-0, I've been looking for night time product(s) that improves fine lines, wrinkles (yes girl, wrinkles), dryness and pore appearance. Its a splurge product, but you truly are getting what you pay and it's worth it. Warning: the retinol will make your skin tingle for a minute or so, but that's simply the effects of it boosting collagen, and who doesn't want a little collagen boost! Sunday Riley // Good Genes All-in-One Lactic Acid Treatment: This product is like having mini spa treatment: It's really potent and works quickly....I'm talking results in 3 minutes quick. What I've enjoyed so much about this product is it's versatility. On one hand, you have the ability to layer it on top of the Luna Night Oil one or two a week as a leave in treatment to help exfoliate pore-clogging dead skin cells. On the other hand, you can simply apply the product as a mask to help visibly reduce lines, wrinkles and dark spots. Again, a small amount of product really goes a long way with this lactic acid treatment, so you get your $$$ worth and I highly recommend it.